Beyond our normal senses there lies another dimension more real and lasting than anything we can imagine. It is a world populated by both angels and demons, and it is essential that we understand it. 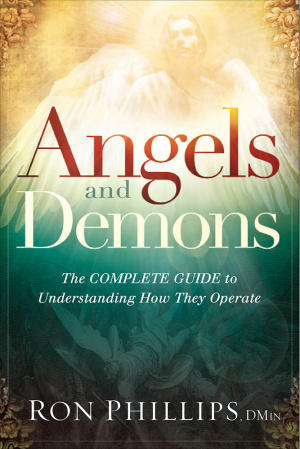 In Angels and Demons, Ron Phillips brings you a definitive guide to these supernatural creatures, providing a basic training manual in the war between good and evil. We are not powerless against the forces of darkness, but to survive, we must know both our allies and our real enemies. Angels and Demons by Ron Phillips was published by Creation House in July 2015 and is our 30480th best seller. The ISBN for Angels and Demons is 9781629980348. Be the first to review Angels and Demons! Got a question? No problem! Just click here to ask us about Angels and Demons.